Woodbridge - Merchants and restaurants in the Amity section of New Haven and Woodbridge are donating goods and services as part of Progression Salon & Wig Boutique’s 9th annual “Pampered in Pink” fundraiser. This month-long event, starting October 1 and ending October 31 with a Halloween Party will feature raffle prizes from more than fifteen neighborhood businesses. Funds raised will be donated to the "Closer To Free Fund" for Breast Cancer Research to benefit the Society’s mission to eliminate cancer through research, education advocacy and local patient services. “Pampered in Pink” is held on Saturday October 27th, nominal donations of $35 for all (or more, of course) or individually priced services will be accepted for our mini-manicures with hand massage, lips-and-eyes makeup applications, hair blow-outs with scalp massage and chair massages. Cancer Survivors are invited to come celebrate life and get “Pampered in Pink” no donation required. One of our greatest ways to raise money is by selling raffle tickets all month long for services, gift cards or gift baskets donated by area businesses,” said Stephanie Cabral, who owns the shop with her husband Mario. Rocky Hill, CT (December 9, 2009) – During the month of October, Progressions Salon raised nearly $2,000 to support the American Cancer Society’s premiere breast cancer campaign, Making Strides Against Breast Cancer. Funds raised by Progressions Salon for Making Strides Against Breast Cancer benefit the Society’s mission to eliminate cancer through research, education, advocacy and local patient services. Making Strides celebrates survivorship around a cancer that resonates with the greatest number of people – breast cancer. With more than 10,000 walkers participating at four events throughout the state of Connecticut in 2009, $900,000 has been raised so far. The salon hosted “Pampered in Pink” days on October 10 and October 31, where local student cosmetologists donated their time to provide manicures, pink sugar scrub scalp massage, blow out, make-up application, and chair massage to guests for a minimum donation of $20. Survivors were invited to get “Pampered in Pink”; no donation required. As a new service, and in an effort to raise breast cancer awareness in the community, Progressions also offered pink hair extensions to clients during the entire month for a $10 donation. In addition to hosting “Pampered in Pink” days, the salon donated 5% of all proceeds from their October merchandise sales to the Strides campaign. The Progressions Salon team has been raising funds for Making Strides Against Breast Cancer since 2003. “Many of my clients have been impacted by breast cancer and I am committed to funding research to end this disease,” said Stephanie Farina-Cabral, Owner of Progressions Salon. Since 2003, Stephanie has been a volunteer cosmetologist for the American Cancer Society’s Look Good…Feel Better program, a free service that teaches female cancer patients makeup techniques to manage the appearance related side effects of their cancer treatments. Progressions Salon also offers custom wig services in a caring and private environment for patients experiencing hair loss due to cancer treatments. It is not too late to donate to Making Strides Against Breast Cancer or to get involved for next year. For more information, call 1-800-227-2345 or visit the web at www.cancer.org/stridesonline. The American Cancer Society helps patients and their families with free information, support, and local resources. Cancer information specialists are available by phone 24 hours a day, 365 days a year to help with diagnosis and treatment information, answers to insurance questions, and day to day support. If you or someone you know needs help, call 1-800-227-2345 or visit www.cancer.org. Woodbridge, CT –Stephanie and Mario Cabral owners of Progressions salon in Woodbridge recently celebrated the Grand Opening of their new location at 245 Amity Road with an open house reception. The newly designed 1750 square foot salon features expanded services including hair design, color bar, nails, make-up, full body waxing and a wig boutique. 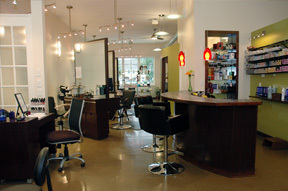 Progressions Salon originally opened in 1983 and is still growing over 25 years later. They have evolved from the ‘80’s into a salon more committed to their clients and community. Because of their clients, Progressions salon continues to serve the Woodbridge and surrounding community and give back whenever possible. 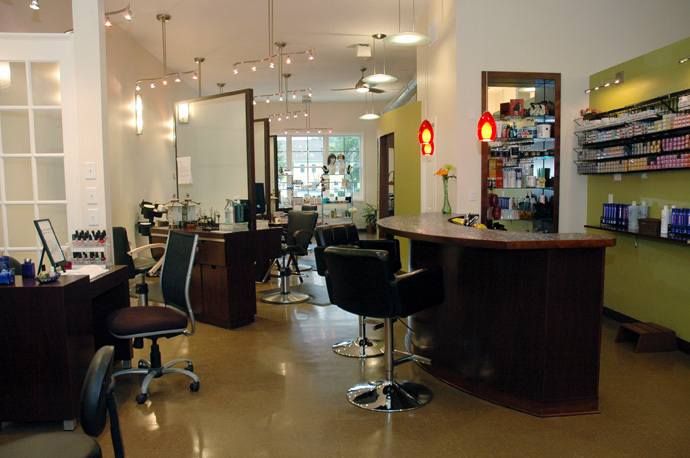 Progressions salon continues to make a conscious effort to be environmentally responsible with their products. “We choose to be as green as possible with the products we buy, what we use in the salon,” said Stephanie. Stephanie brings more than 20 years of experience as a color specialist and hair designer to her salon. She is an active volunteer since 2003 for the American Cancer Society as a cosmetologist. She participates in the “Look Good Feel Better” program where she assists women undergoing treatment by demonstrating techniques on make-up application. Mario is a master barber and maximum impact texture specialist. He brings to the Progressions team over 30 years of experience. His techniques to create dimensional hair textures allow him to extend services to men, women and young adults. The team at Progressions salon invite everyone to visit them at their new location.